Affiliate Marketing is one of the popular and lucrative ways to earn money from a blog. If you are running a WordPress niche blog, then you must be looking for different affiliate program related to WordPress. However, WordPress theme is one of the WordPress niche, where you can sell WordPress themes with your affiliate link on your site. Additionally, you can generate revenue from each successful sale of the WordPress theme. Today I am going to tell you about one of the ways to Make Money With ThemeForest Affiliate Program. ThemeForest has covered large marketplace as a WordPress theme provider. Additionally, It has a huge collection of more than 9000 WordPress themes and 5,161 WordPress plugins. Moreover, it manages its affiliate program through one of the biggest marketplaces which are known as Envato. Besides, Envato is one of the best places to buy WordPress themes and plugins. Further, Envato manages affiliate program on many websites such as CodeCanyon, PhotoDune, VideoHive, AudioJungle, 3D Ocean, and GraphicsRiver. Envato allows you make money with ThemeForest Affiliate Program. Here are some details of ThemeForest Affiliate Program below. 30% commission on the each successful sale and when the referred person deposits the payment. 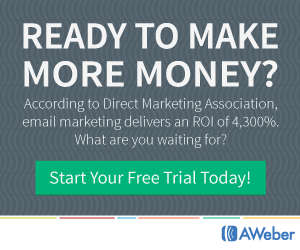 Offers a wide variety of creative Referral Banners. Do you want to Make Money With ThemeForest Affiliate Program? However, it is quite easy to Make Money With ThemeForest Affiliate Program. For that, you just need to join ThemeForest Affiliate Program for it. If you are a newbie then you may be looking for a way to join ThemeForest Affiliate Program. 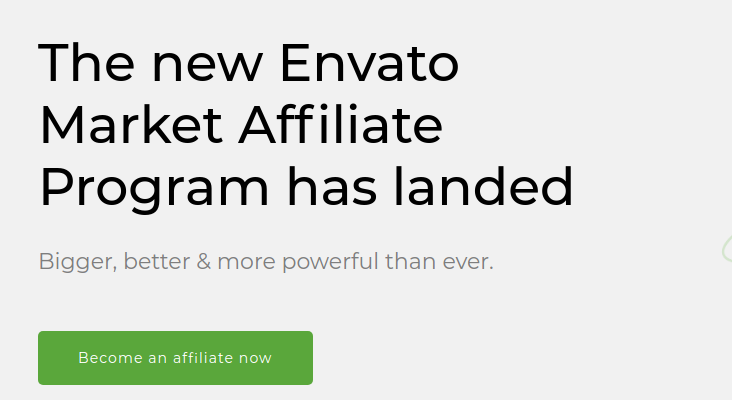 As I already told you above, Envato manages ThemeForests Affiliate Program. So, you need to join Envato first to make money ThemeForest Affiliate Program. Here are some easy steps for joining Envatomarket. Visit the page Theme Forest Affiliate Program. They shifted their affiliate ti impactradius, so if you have account over there, you can register as existing user. Next, Click on the ‘Create an Envato Account’ link. On next screen, you have to enter your name, choose a Account Display Name, Website, Country, Currency, Postal Address for ThemeForest affiliate account, . Then go to next page and fill the details of Your website, URL, Email, Name and mode of promotion. If you are existing user of Imapctradius, then go for existing username, else create new account. 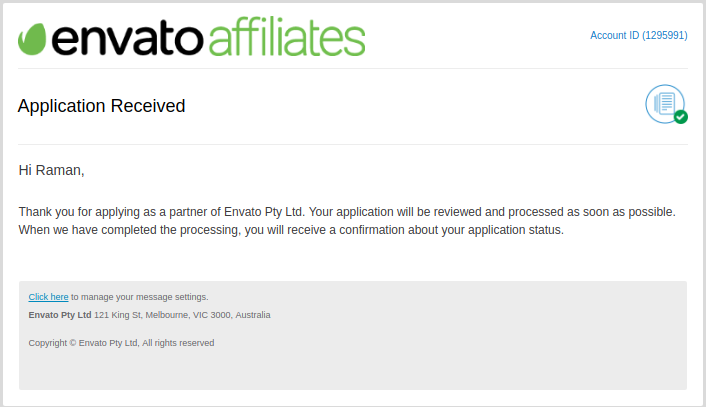 Finally, your Envato account will be applied successfully. Besides, You can access any of the Envato websites where you can buy or sell any digital products such as WordPress themes. Also, you can sell ThemeForest WordPress themes on your site to make money with ThemeForest Affiliate Program. After approval you application, you can generate affiliate link of the ThemeForest products in order to make additional bucks with ThemeForest Affiliate Program. 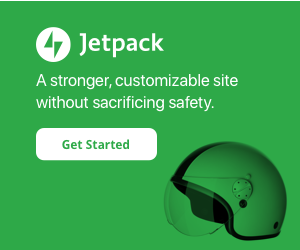 Let’s generate referral link of ThemeForest themes. How to generate referral link of themes on ThemeForest Affiliate Program? Once you confirmed your Envato account, you will see a page ‘Welcome to Envato Account Center’ on the next screen. 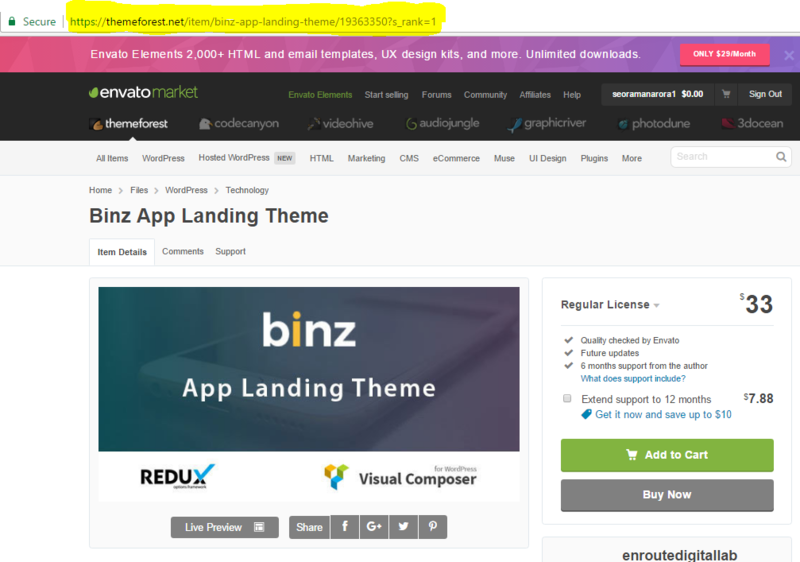 Additionally, You will see a list of Envato sites whose products you can promote on your site. Here you can see the Affiliate URL and Banners, which you can promote on your website. Next step, Click on the ‘All Items’ link on the next window screen. However, you can also choose different categories of the product according to your niche. As I have clicked on ‘All Items’ link, it will display all the items of ThemeForest. You can promote any product according to your site content. Next, You will see a list of ThemeForest products, click on any product. 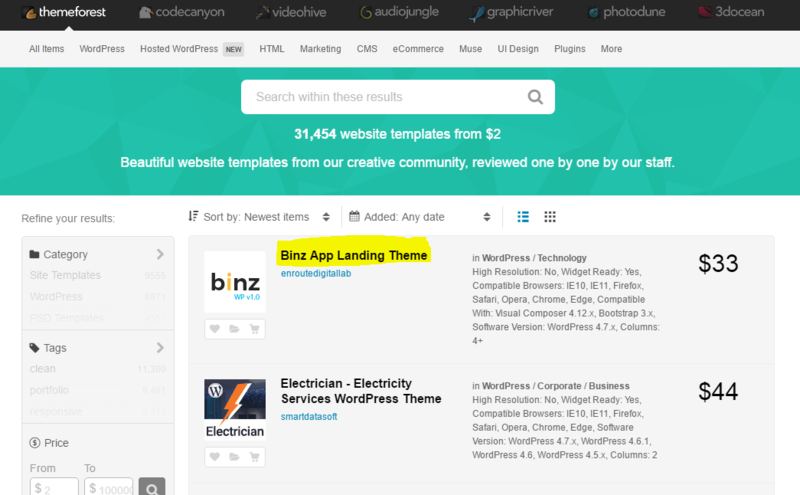 For instance, I have clicked on the first theme of ThemeForest which is ‘Binz App Landing Theme’. Once you clicked on the theme, you will be redirected to the page of theme where you can buy the theme. Here you have to copy the URL address of the theme from the address bar of the browser. Now come back to the previous page of app.impact.com and paste the URL for making Affiliate URL. you can paste the URL into” Enter landing page” and Click on Apply. 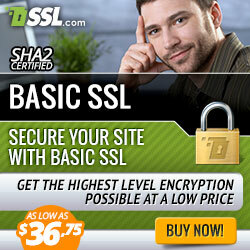 below, you affiliate link will be ready and you can copy the URL and promote it your website/blog. You have successfully generated referral link of the theme. In this way, you can generate referral link of ThemeForest other themes. 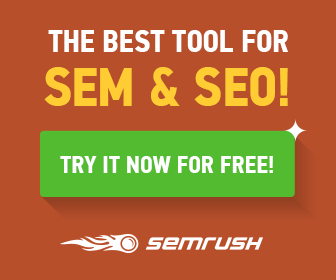 Add the link to your site to sell ThemeForest themes. Whenever someone purchases the ThemForest theme with your affiliate link, you will get 30% commission. In the nutshell, it is always great to choose affiliate program for your blog which has a high conversion rate. Additionally, ThemeForest is a reputable WordPress theme provider. So, there is no reason that I found not promoting them. Moreover, It is a great affiliate program to join. Therefore, I will highly recommend you join ThemForest affiliate Program to make money, especially if you have a WordPress niche blog. Also, You can generate huge earnings by promoting ThemeForest themes or plugins on your site. If you have any query, feel free to ask in the comment section. Don’t forget it share this post on Facebook, twitter and Google+. You can also subscribe to my YouTube Channel. Can I use WordPress free blog for affiliated marketing. There are some terms and Conditions for approval of affiliate accounts. you can read these blogs. yes you can do that…..but sure that it looks like an e-commerce site. may i run affiliate marketing if i do not have any website? If, then where should i post my link for successful marketing? Please let me know, which affiliates you want to promote. For example, you can get amazon affiliate, and promote with facebook sharing,. can i affiliate themeforest all product one website like as wordpress all theme ,plugin , video,audio,images etc. Hello very useful information, please let me know is it allowed to open two or more affiliate accounts on themeforest?